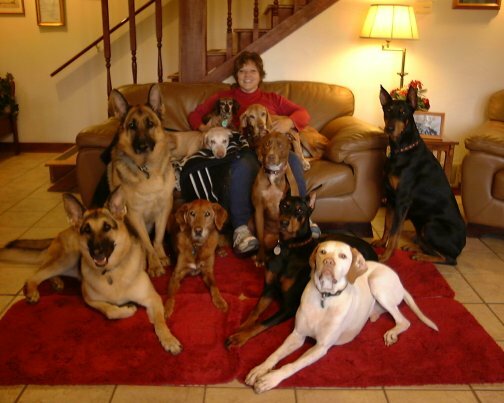 Of all the Toledo dog training out there …We are the MOST EXPERIENCED…Saving dogs others have failed! Relationship is taught here…commands are just icing on the cake! We deal with any behavior issue. **FREE** Phone Consultation Carol will spend time with you discussing issues and needs. This is the most unique and thorough training method …like none other in the Toledo area! More user friendly than the popular TV series “The Dog Whisperer”, We have a way of working with dogs that doesn’t require large amounts of exercise and time. Geared to reality for the average dog owner, we emphasize a better way of understanding and communicating with your dog. There is no need to “work on” obedience skills. We show you how to teach your dog so that learning is fun, and proper behavior is gained every time you interact with him. Your dog is learning 100% of the time ! We help you learn how to guide him to be a wonderful canine member of the family. A Promised Friend is located just minutes from the Toledo metro area in rural Oregon, Ohio providing positive reinforcement dog training. Please book mark this page and check back often! Thank you for your interest.